Mother’s Day is often a glass half empty – glass half full kind of day. I lost my mom 18 years ago, I was 28 years old. I wasn’t married at the time and I hadn’t started my family yet. So it makes me kind of sad to know that my mom and grandparents will never meet my husband or sons in this lifetime. 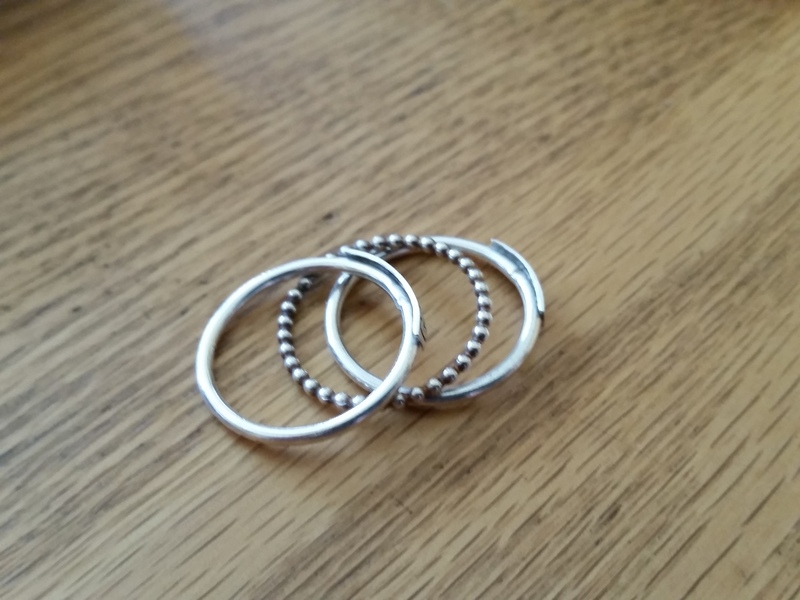 When my husband and I got married I was given my mom’s wedding ring to wear from my husband. It is a very special reminder that my mom will always be with me. We are going to be celebrating 15 years this September. Months ago, on Facebook I saw a set of rings that you could put the names of your children on and I really thought they were simple but elegant. I am not a flashy kind of girl. I had liked them and shared them on my Facebook page. Well, they arrived just the other day. A few days late but non the less they were worth the wait. I LOVE THEM! Sometimes, “small moments” come in small packages and a couple of days late. You just have to be willing to be a little patient. This entry was posted in family, gifts, husbands, life, moms, Mother's Day and tagged gifts, grandmothers, husbands, losing your mom, loss, marriage, moms, Mother's Day, rings. Bookmark the permalink. Sometimes spouses need a little help in the gifting department, sounds like yours can take a hint!